With PETG material we’re able to emboss and engrave unique features and details. The special textures we can achieve offer stunning looks and a vibrant touch. 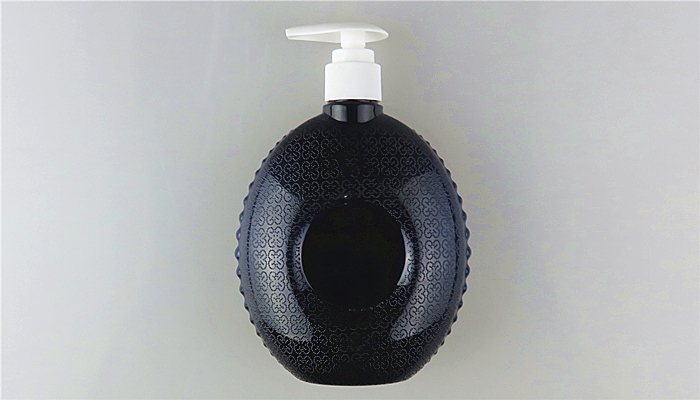 A custom mold with embossing or engraving is a cost-effective way to stand out. 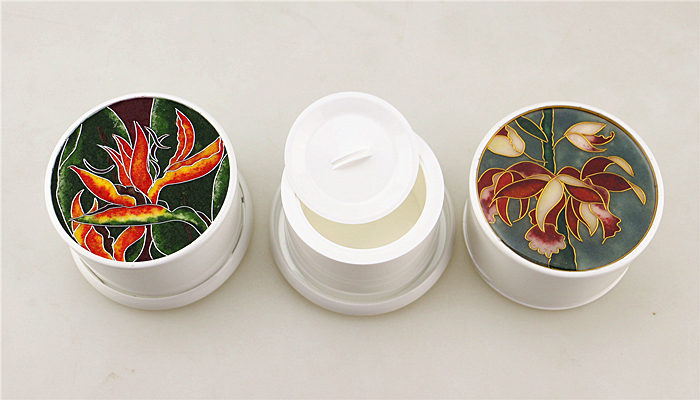 Enamel is a fusion of fired glass with sterling metals, resulting in lustrous and colorful patterns.Suitable for plastic caps or lids, it instantly elevates the finishing of a packaging. We have a large range of classic and luxury patterns are available. Our double wall technology consists of an inner bottle made out of PET, and the outer bottle in Surlyn. With this technology we can create glass-like and unique bottle structures with a smooth touch. 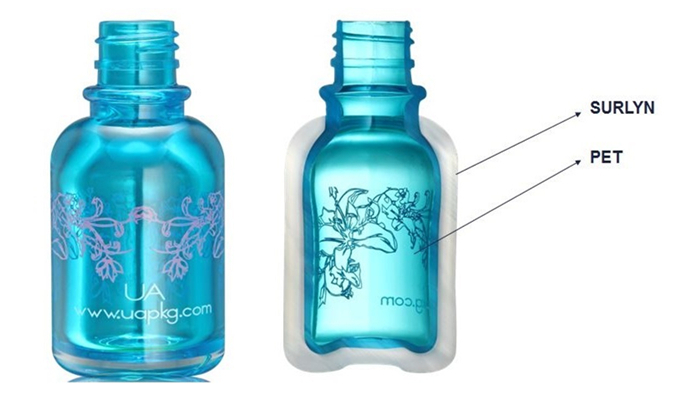 Both the inner and outer bottle can be decorated. 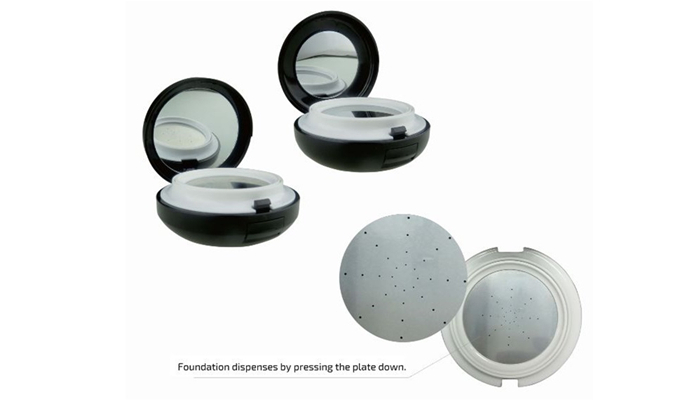 This new compact for dispensing foundation type liquids is both practical and secure. Because of the air tight properties, the foundation is kept in its pure state while being shelved. Additionally it’s convenient to dose and hygienic.